It is now old news that King Khan has a problem with Shirish Kunder. The latest in this cold war is that Shah Rukh Khan completely ignored the editor/director husband of his good friend, Farah Khan, at the music launch of 'Om Shanti Om'. Not only did the superstar not acknowledge him in his speech, he also looked through him throughout the event. For those who came in late, Shirish Kunder had offered a role to Shah Rukh in his home production, 'Joker'. Shah Rukh did not like the script, and asked for some modifications. Shirish went around town criticizing the actor's demands, and SRK called him for dinner to clarify things. Shirish, however, refused to change the script and also threatened to take some other star for the role. 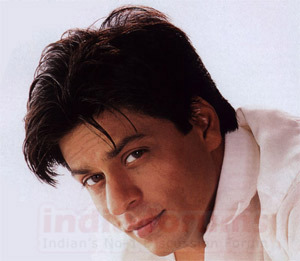 Shah Rukh lost his cool, and said he was not interested in the movie anyway. Of course, both of them have denied that there are differences between them. Apparently, Akshay Kumar has been roped in for the role now.